If you’re a university student, you can work in the U.S. under the J-1 Visa programme as an entry-level short-term employee. This programme is designed to help U.S. businesses meet their seasonal staffing needs while giving international students the chance to earn money, experience a new culture, and travel abroad in their summer break. You can work for up to 4 months during your university vacation, after which you are allowed to travel for up to 1 month within the U.S. Au – pair is a unequal international exchange program, which gives an opportunity for the young people to improve their foreign languages, meet other cultures and also to earn some money. This program place au-pairs from all over Europe with Spanish families. Internship Training USA is your opportunity to gain valuable practical experience as an intern or trainee working for an American company. 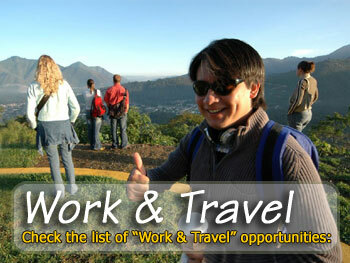 Several openings exist for paid internships/trainee programmes for holders of valid J1 visas. We assist you with the entire process; finding a placement, host interview, and most importantly with the documents and groundwork for obtaining a US visa. H2B is back! Seasonal employment offer is for candidates who are interested in positions in Food & Beverage in with Upscale Country Club in Florida. This beautiful oceanfront resort is well-known for its world-class dining, championship level golf and tennis. Summer camps in the U.S. are a unique experience. A tradition passed down through generations, and across diverse backgrounds and cultures, summer camps are an important part of American culture. You will find yourself developing as a person, building relationships with both campers and staff, and becoming friends with those you might never have expected, regardless of the type of job you take on at summer camp.